In August 2017, Japan Display announced a strategic focus on OLED displays as the losing display maker failed to keep up with the industry shift to OLEDs. JDI said it will need to raise new funds in order to accelerate its OLED plans and prepare for mass production in 2019. JDI estimates that it will require more than 200 billion Yen (around $1.77 billion USD) to start mass producing OLEDs in 2019. 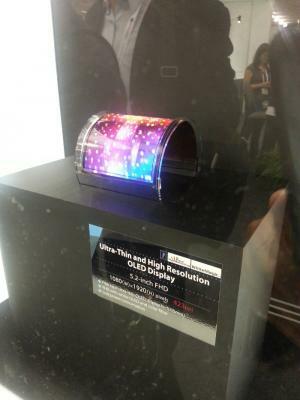 JDI is now looking for financing partners that will help fund the company's OLED project. It is estimated that it will find it difficult to find a partner in Japan and so JDI is looking for Chinese and Korean display makers. According to the Nikkei Asian Times BOE and CSoT already expressed interest. JDI's current major shareholder, the public-private Innovation Network Corp. of Japan, intends to gradually reduce its 36% stake. Following JDI's announcement in August it was reported that Taiwan's Foxconn will acquire the company and merge it with Sharp, but this, it seems now, will not happen. Towards the end of 2016 JDI received a $650 million USD investment from INCJ to grow its LCD and OLED business. Parts of these funds were supposed to be used to take over a majority stake in printed OLED developer JOLED. Japan Display has decided to halt these plans and will not take over JOLED at least until its financing is in order.